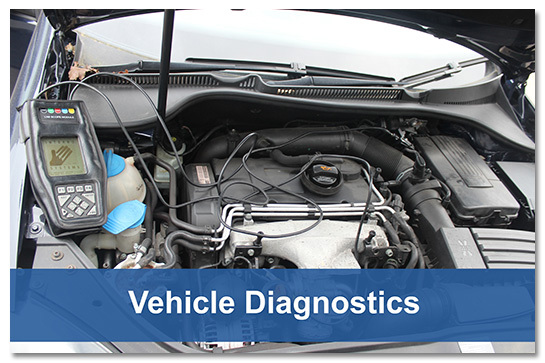 Since 1984 vehicles have been fitted with a diagnostic socket. In most cases an EOBD socket is used. These systems were introduced in line with European Directive 98/69/EC to monitor and reduce emissions from cars, other safety and comfort systems can also be accessed via this connection. At Wellbrook we have a comprehensive selection of diagnostic tools to find and rectify faults when they occur. In most cases the faults are a warning that a component is failing and requires replacement. This is normally indicated by a warning light being illuminated on the instrument display, this will in turn log a fault code in the control unit. This can then be accessed to help the diagnosis of the problem. Diagnosis can normally be done while you wait, we record the fault logged and then clear it from the vehicles control unit, if the fault is (or becomes) persistent we can then quote you the cost of repair.